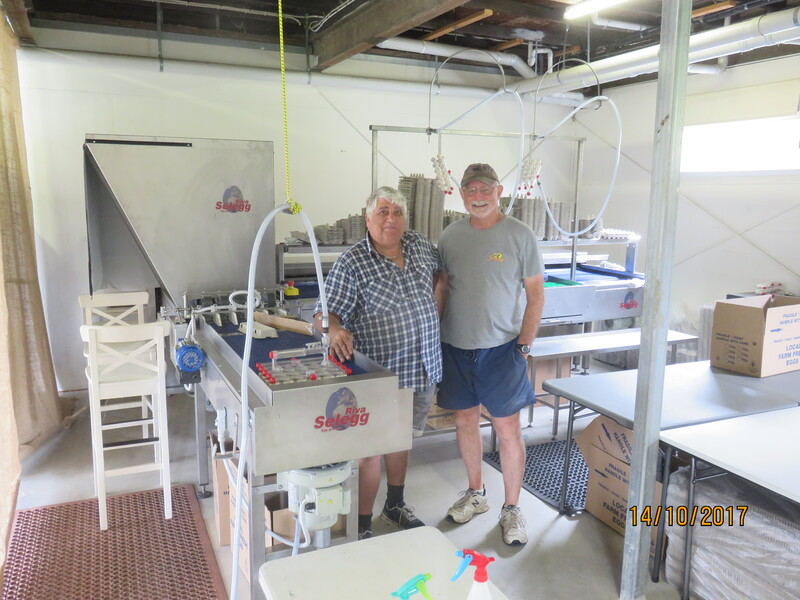 John Hendry, of Eumundi Egg & Feather, recently installed a Riva Selegg S121 pack 100. This new egg grader enables John and his staff to pack graded eggs into 10,12 or 30 egg cartons or trays. Eumundi Egg & Feather supply eggs form Australorp x Rhode Island Red hens, chosen for hardiness and foraging abilities, with a larger frame and robust build. To learn more about the biodynamic operation at Eumundi Egg & Feather, click here. Riva Selegg Technician, Guido Cristofoli, with Eumundi Egg and Feather owner, John Hendry.